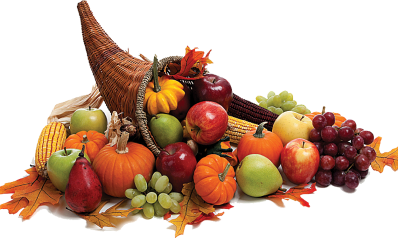 Health Wonk Review’s overflowing cornucopia! This may be mis-named, as Roy Poses MD’s take on the latest in the ongoing revolving door debacle presents a decidedly unappetizing look at regulatory processes. The candidate nominated to head the FDA has strong ties to the industry he will be regulating. While a superficial review of Robert Califf’s CV doesn’t indicate much of concern, a deeper dive uncovers a board position at a drug company and various and sundry other financial ties. Dr Poses’ unstinting efforts to teach the rest of us about the far-too-chummy relationships between regulators and regulatees makes him one of our industry’s best. In what may be the umpteen gazillionth effort by the GOPers in the US House of Representatives to do something, anything to kill PPACA, we now have a lawsuit filed by that august body accusing CMS of overstepping its authority re cost-sharing subsidies for exchange enrollees. Attorney Max Horowitz, an expert in the law brings us this tight description of the issue; if you just want to know the basics, click thru. Meanwhile, the Colorado version of ACA seems to be moving along albeit with bumps along the way, some of them – shockingly – created by the same folks who continue to try to kill PPACA. Colorado Health Insurance Insider shares what’s happening as health plans set premiums for future years and wonder what happened to the Risk Corridor payments they were promised. Thanks Louise! The fine folk at HealthAffairs are careful students of all that is payment reform; they direct our attention to limitations in the current shared-savings models employed by Medicare, limitations that means those models don’t work that well for low cost ACOs. Two execs have come up with a creative alternative, one with global risk-adjustment that may address some of the issues with the current model. This is exactly what health reform is supposed to do – get smart people to figure out better ways to do things. Reports of the death of physician private practice may be exaggerated – or at least very, very premature. Jaan Sidorov at Population Health Management provides a very interesting post detailing why and how small physician groups are competing quite well in these days of mega-huge health systems. My contribution is a piece offering a quick review of a bunch of issues in the healthcare world including the Cadillac tax, premium increases, employee cost sharing, and payer consolidation. All in one easy-to-digest bite! This next post may cause major indigestion in corporate board suites. While company executives seem to always escape without any penalty when their companies do bad things, one exec may well get hammered. The top exec at Massey Mining, the company tied to the Upper Big Branch mine disaster is facing trial for his role in the tragedy that killed 29 miners. The question to be addressed involves the level of responsibility a CEO has when things go horribly wrong. WorkCompInsider’s Julie Ferguson includes links to some pretty telling video detailing what CEO Don Blankenship is is accused of. You know those health plan emails encouraging you to exercise? They may get more serious soon…Hank Stern and friends at InsureBlog are telling us that FitBit may be one way healthplans will find out exactly how many steps you’ve taken. Not to worry; it will be HIPAA compliant. We’d be remiss if we didn’t give Hank a shout-out; his blog recently was named the #2 Men’s Health Blog. I gotta believe something from Maxim hit the top spot – no other way to keep IB off the top of the podium…and you know how shallow men are! That’s enough for now. enjoy your Friday, have a ball this weekend, and get out to those Farmer’s Markets! Outstanding job, Joe! Thanks for including our post, and for the extra shout-out on our award. Previous Previous post: This will make you stop and think. Next Next post: HWR’s Cornucopia overflowed!